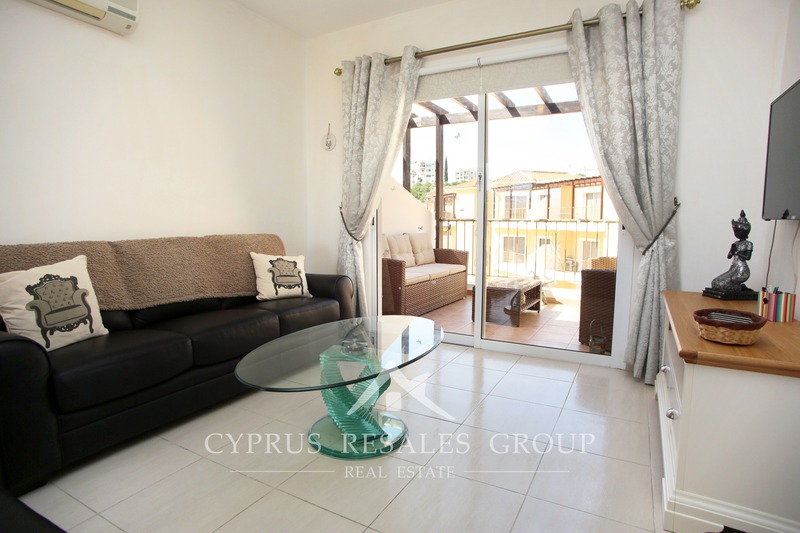 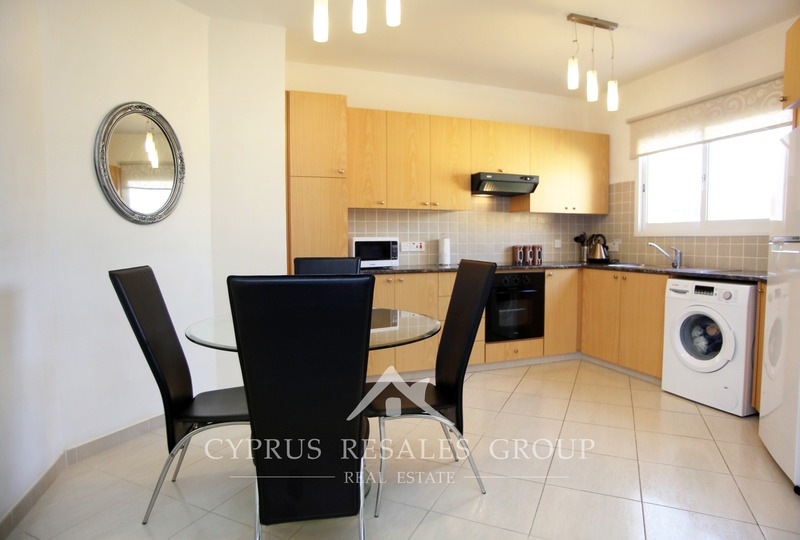 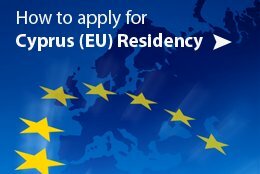 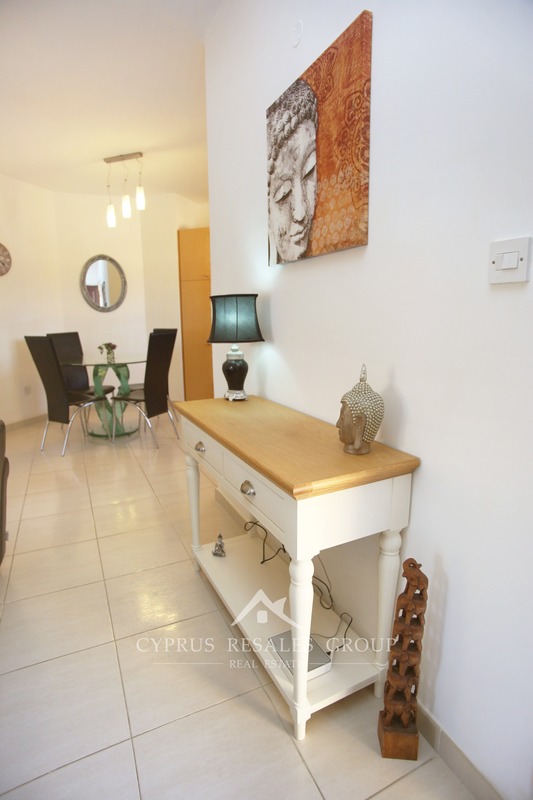 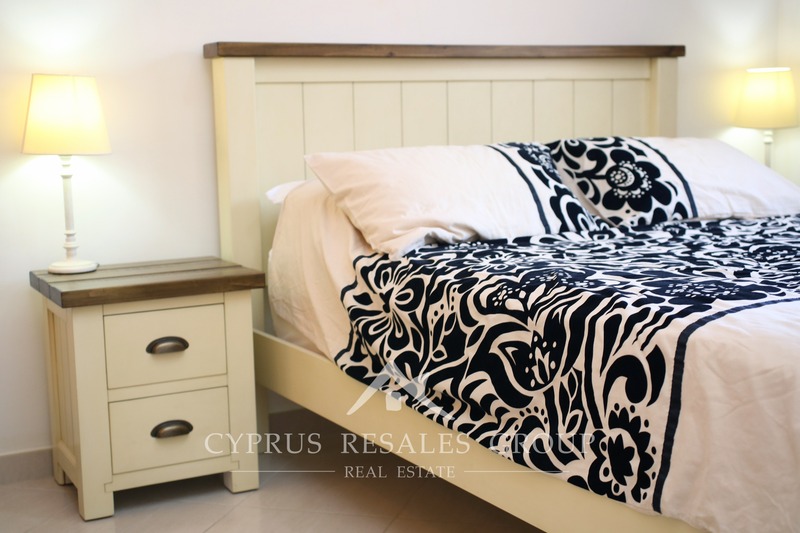 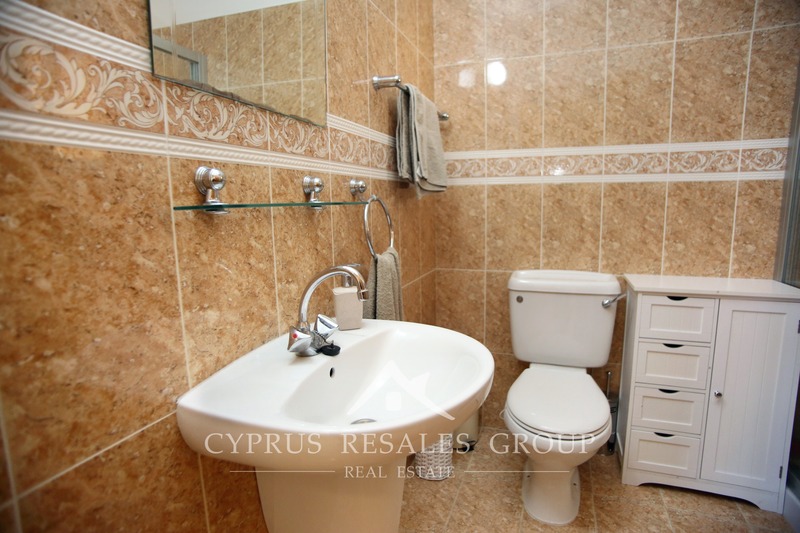 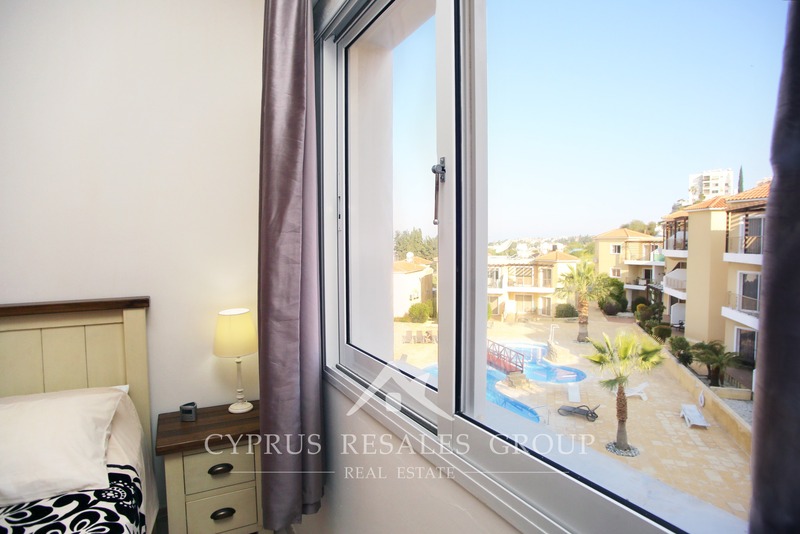 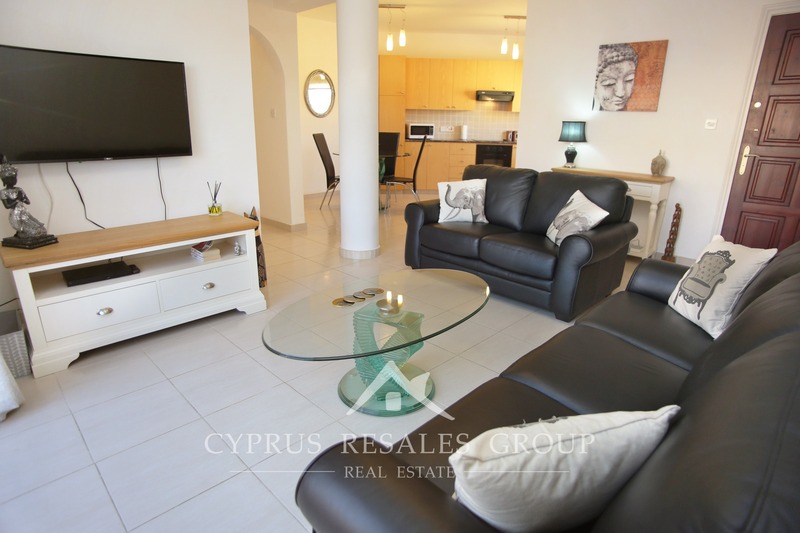 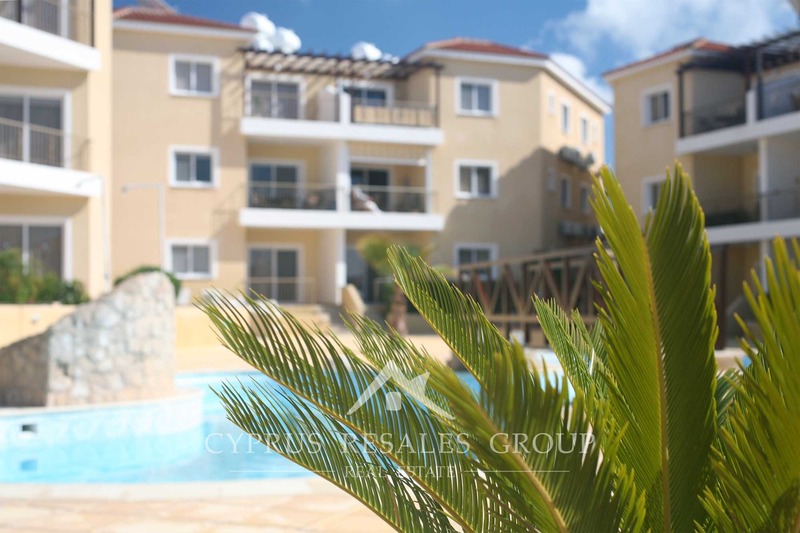 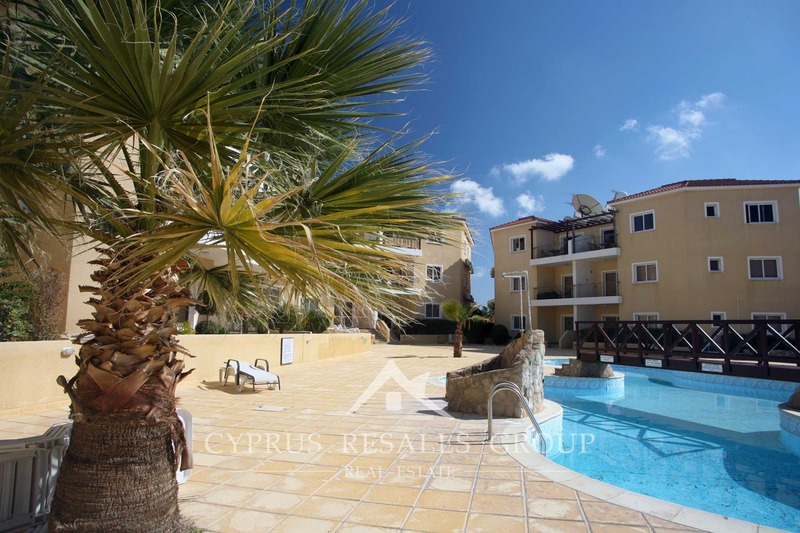 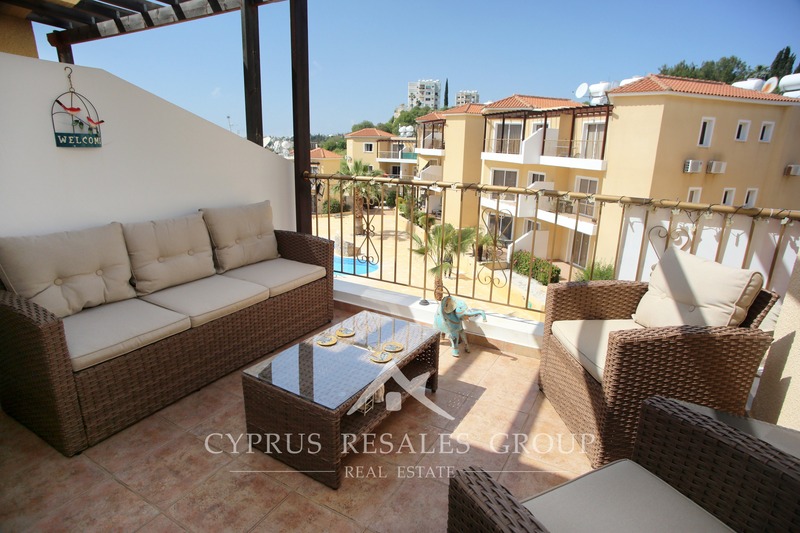 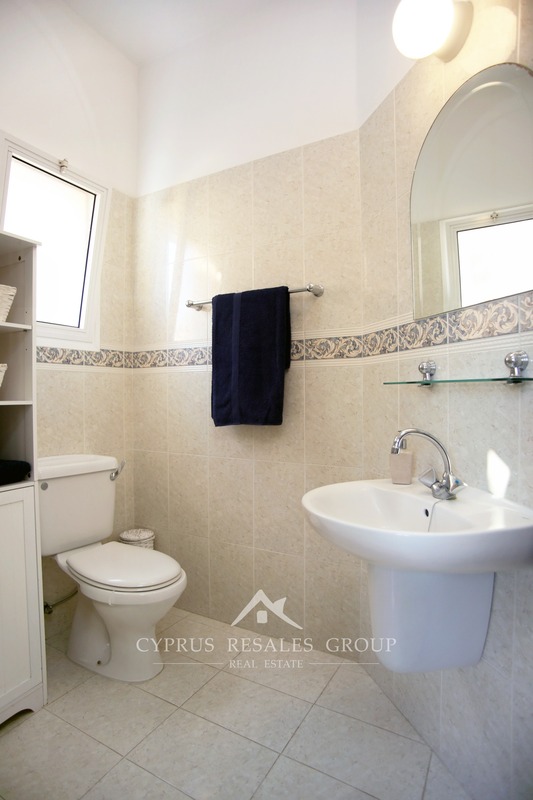 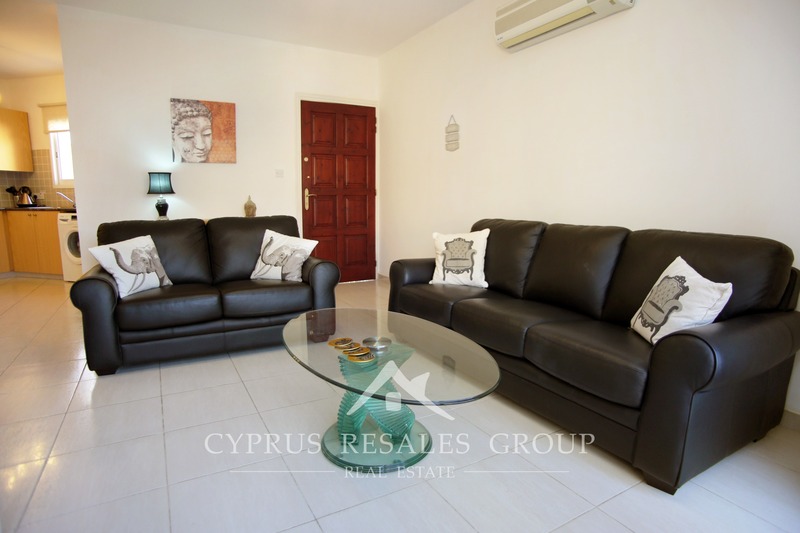 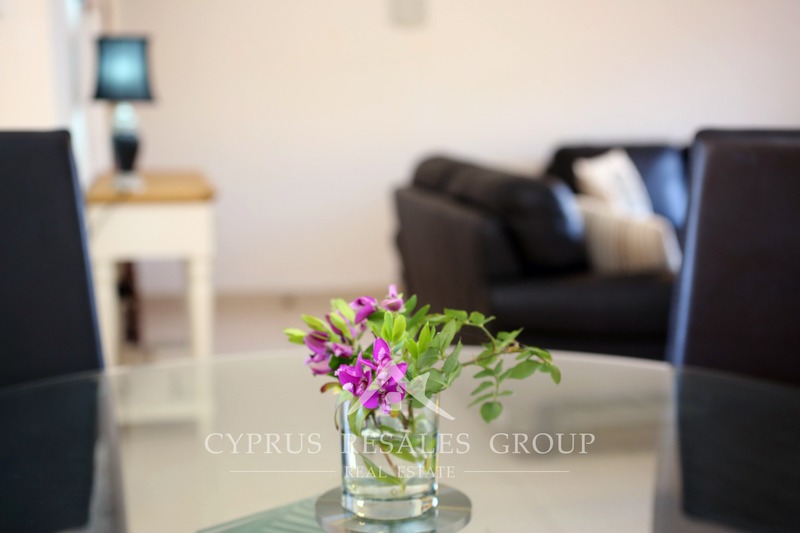 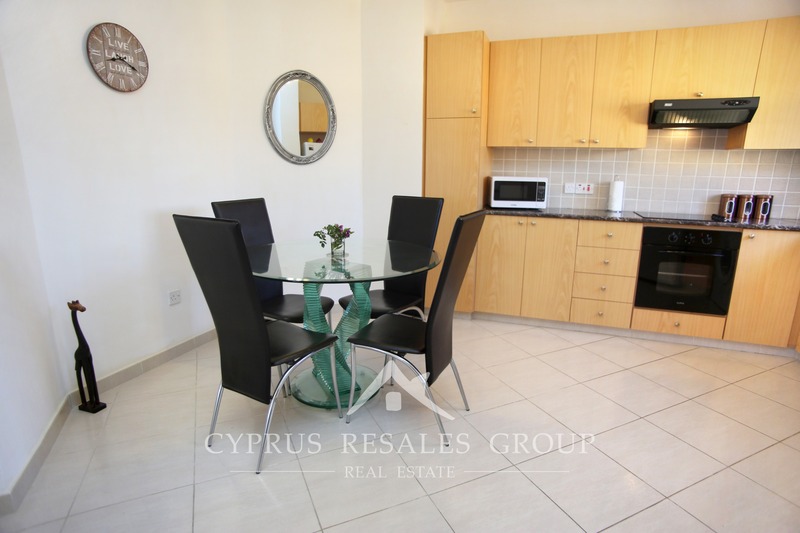 Relax and unwind in your new 2nd floor penthouse apartment in Sirena Olympia on the Universal area of Kato Paphos. 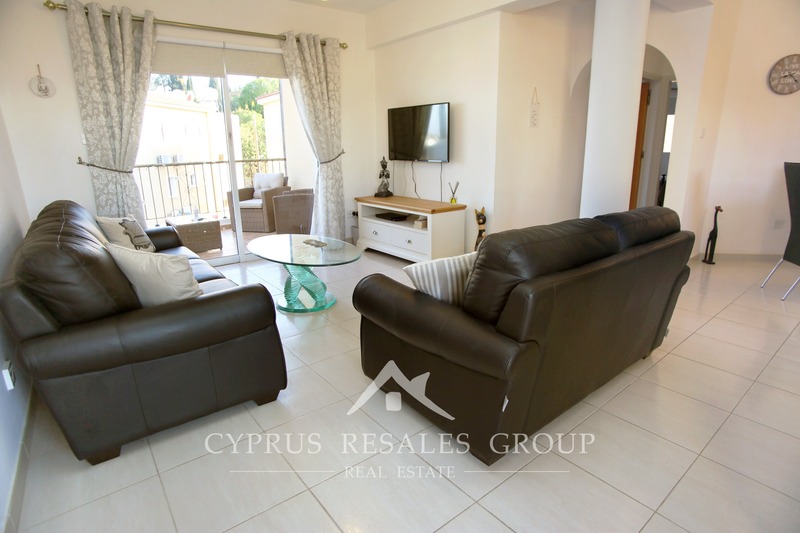 Build by Costas Gavrielides in 2005 Sirena Olympia is centered around the large swimming pool and spacious sundeck where you can kick off you flip-flops and make the most of the Mediterranean lifestyle that you desire. 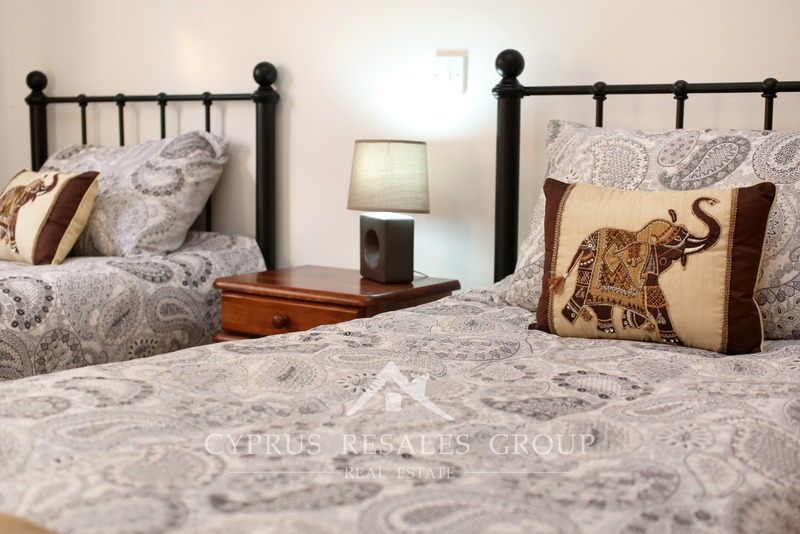 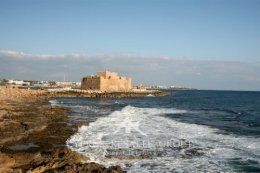 With vibrant harbor area a short drive away, you will be spoilt for choice between the harbor and the recently opened Kings Avenue Mall, which is also within easy reach at the start of Tombs of the Kings Avenue. 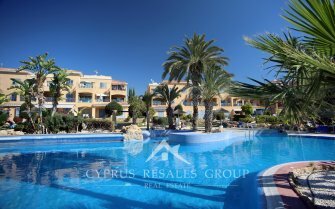 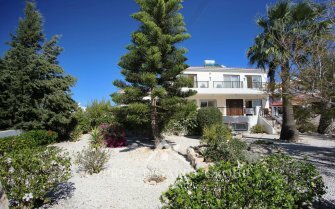 This 2 bedroom 2 bathroom beautifully presented apartment is located on a quiet corner of the project overlooking the pool. 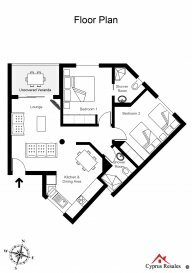 On entry this modern flat will impress you with its interesting shape where a central column helps define the living room and kitchen-dinning. 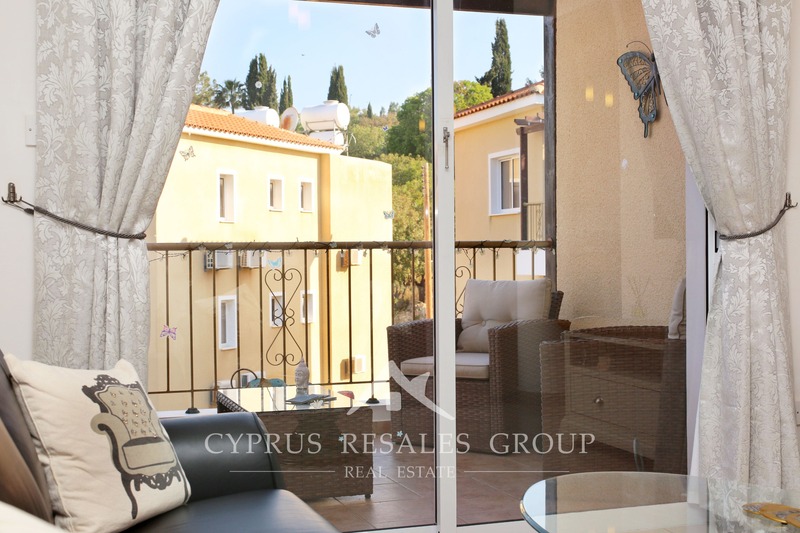 Patio doors leading from the living room open onto the uncovered veranda with pretty pool and hillside views. 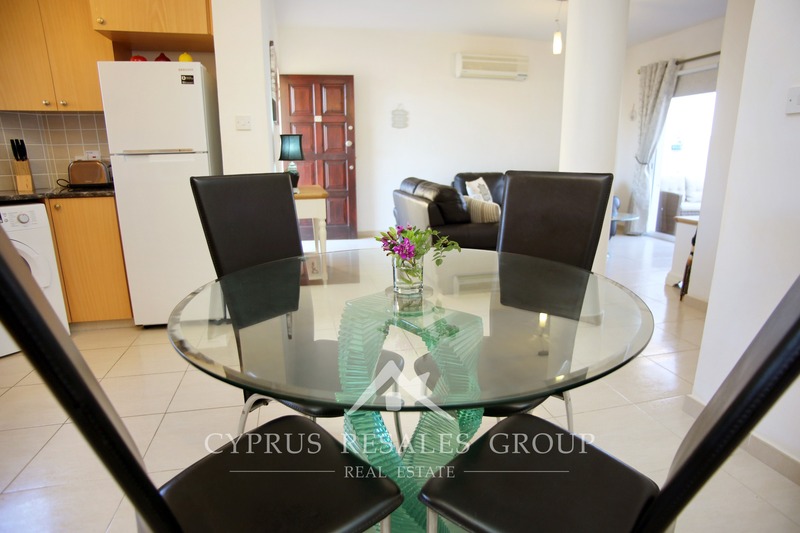 The spacious bright kitchen looks south across the common gardens of the central courtyard. 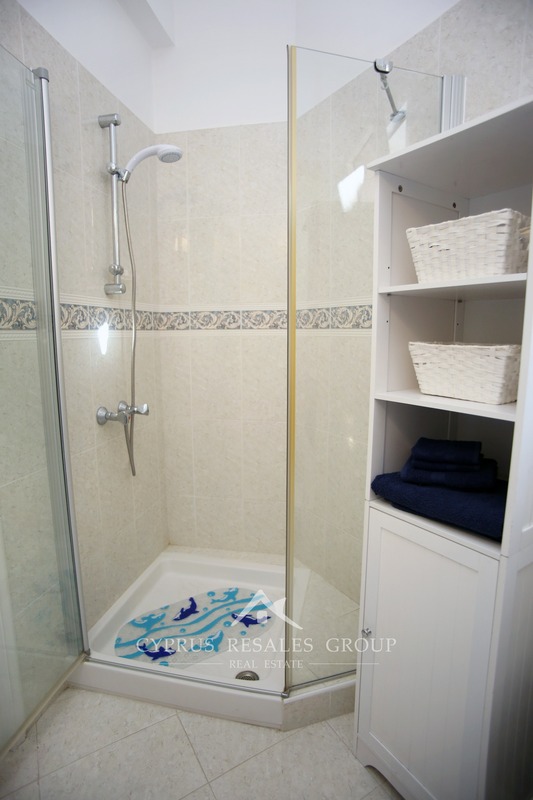 The family bathroom looks as good as it did when it was first built. 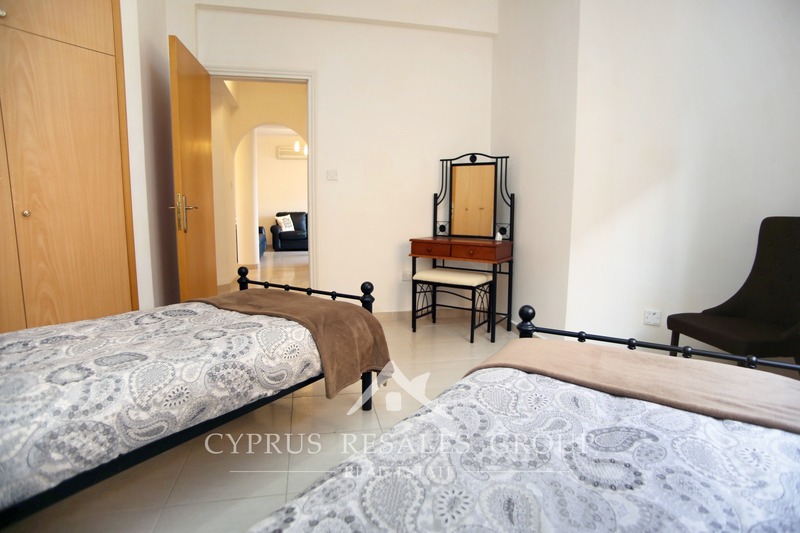 Both bedrooms come with ample storage and of course the master bedroom has the essential en-suite shower room. 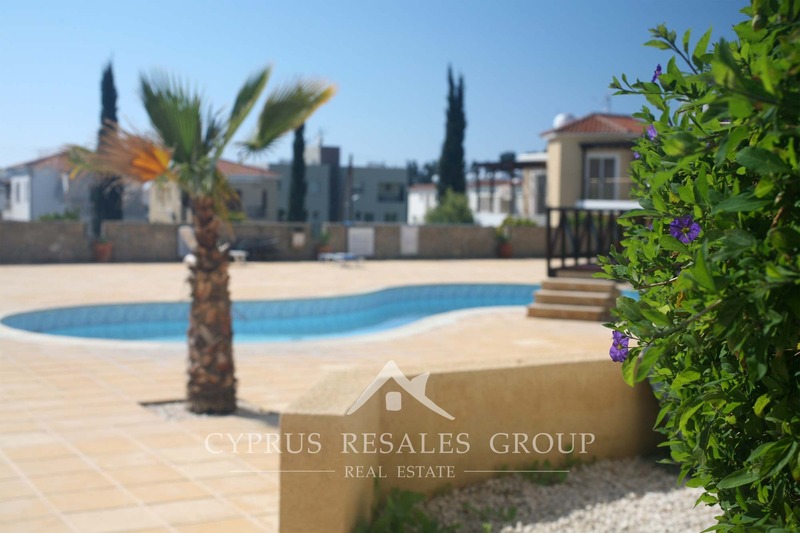 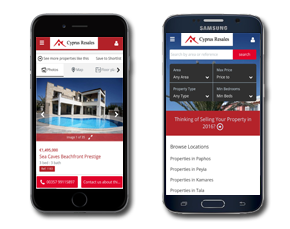 Your new Cypriot lifestyle complete with the famed mild Cypriot climate and the reassurance of TITLE DEEDS await you in Sirena Olympia.